Hello! I’m Mariko MIWA or Mary. I’ve been working as a national-licensed tour guide for more than 15 years. I’m very grateful that I can meet so many nice people and visit many places in Japan with them. 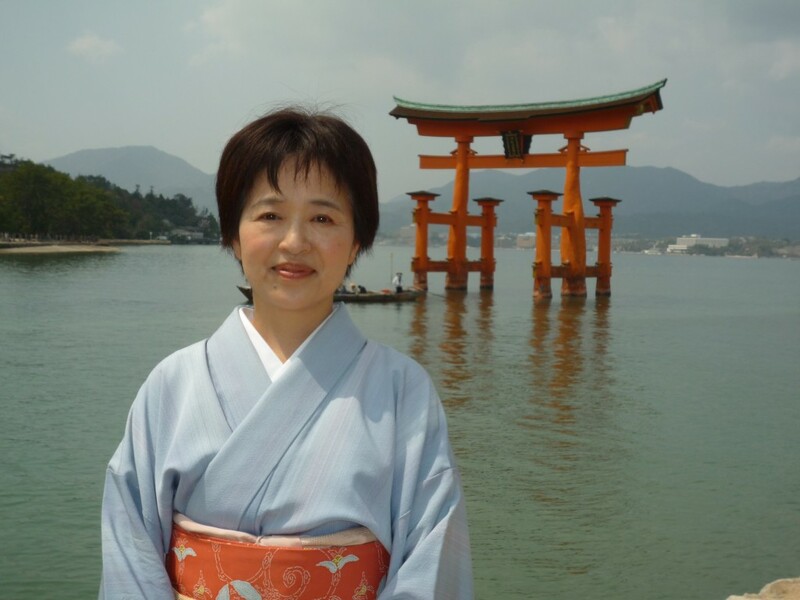 Here in my hometown Hiroshima, I would like to offer you especially memorable tours. And I love traditional Japanese culture. I’ve practiced the Way of tea for more for 30 years. I’m a licensed-kimono dresser. It would also be great if I could share my zeal with you. Copyright © 2011 CHUGOKU REGIONAL RESERCH CENTER All rights reserved.